We love Artopex workstations for their clean lines and versatility, and our Calgary showroom now has two more stylish configurations on display. The Air Line 3-pod workstation is an example of free-standing design with the flexibility to accommodate as many or as few workers as needed. Combine work surfaces, storage modules, and privacy panels to create your perfect collaborative area, or combine Air components with other compatible Artopex systems: Take Off, Uni-T, and Nano systems. For a truly multi-pupose line, the Take Off collection is the way to go. Layered workstations, executive suites for private offices, and shared benching for collaboration are all possible with Take Off’s variety of options. Electrical access and cable management are also carefully designed into each model. 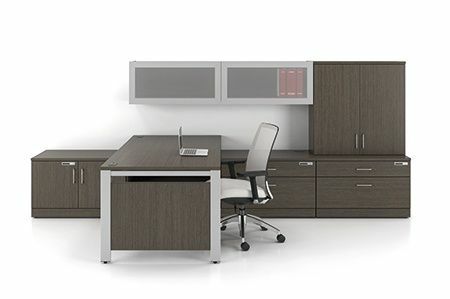 Visit Source Calgary today to see Artopex’s Air Line and Take Off collections in person, and talk to a Furniture Specialist about free space planning to create the perfect office. Source Office Furnishings — Making Your Office Work Better!